GM OEM parts are manufactured to the strictest standard and designed specifically for your GM. These quality parts are built to provide a worry-free ownership experience. 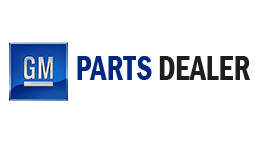 Our online GM Parts department offers one-stop shopping for genuine GM parts and accessories. We sell at wholesale prices, offer a Nation-Wide warranty protection plan and ship your GM parts directly to you. At first glance, it’s difficult to tell one part from another. The truth is, all replacement parts are not created equal. GM OEM parts are designed specifically for your vehicle and provide you with the intended performance only original equipment can deliver. Think of it this way, how long did this part last on your vehicle? 5, 7, 10 years or longer? Wouldn't you want to replace this with the same quality part? Our GM OEM parts catalog allows you the option to search by keyword, GM parts number or year, make and model. When placing your GM parts order, you will be prompted to insert your VIN (Vehicle Identification Number). By providing a VIN number, you help us ensure the accuracy of your order. If for any reason you are not sure of which GM parts to order. Please Contact Us for assistance. One of our GM Parts specialists will be happy to help.